Cebu City: The Queen City of the South. My lovely asawa and I recently returned from a short vacation to do some shopping and to relax in the famed “Second City” of the Philippines, the oldest city in the archipelago. While I haven’t done anything to earn a sabbatical, my spouse has. My wife has been dealing with the construction of our new home in the Philippines for almost six months now, and needed a break, even though she would never admit to that. 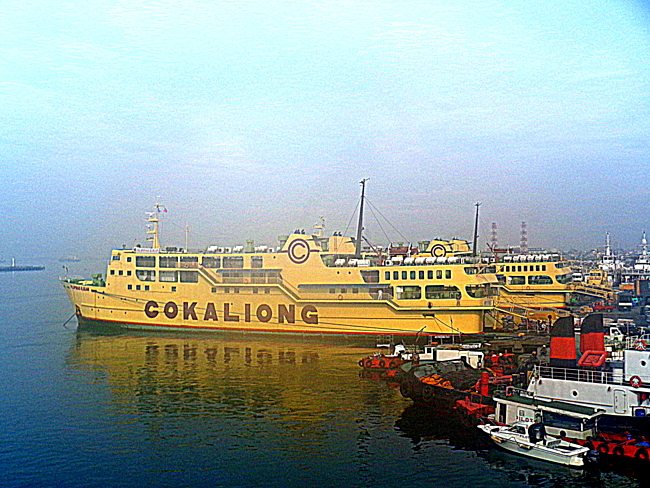 We took a cruise on a ship from Cokaliong Shipping from Iloilo City to Cebu City. We paid 3,500 pesos, 77 US Dollars, for a round trip ticket and stayed in an air-con cabin with four other passengers but at least we both got bottom bunks to sleep on. The air conditioning was extremely cold and I found myself covering up with a sheet during the nearly 13-hour trip, but I wasn’t complaining. I enjoyed the cold air. We shared a CR, Comfort Room, with the other four passengers in our cabin. We could have gotten a private suite on the return trip for 2,500 pesos more, 55 USD, but opted for the cheaper cabin. However, a couple with a baby were put in our cabin as the outside Tourist Section, without aircon, was too hot for the baby. Thankfully, the young tot slept very well and barely cried. The crusty old expat also got a fairly good night’s sleep as well. 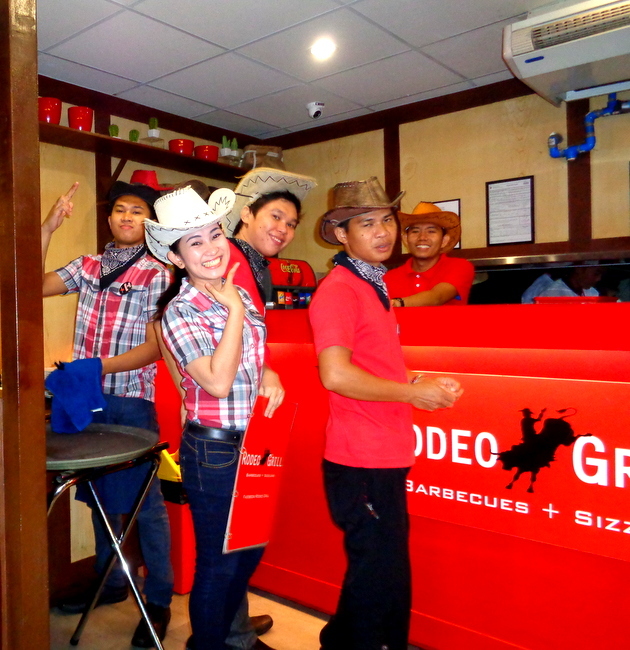 I always like to check out new eateries while on vacation, such as the Rodeo Grill at SM City Cebu. The staff, shown above, were quite friendly and very efficient. The food, however, was a disappointment. My wife ordered a rack of ribs that were too tough and my “Mississippi” Fish and Chips had excellently seasoned fries, but the fish was bland. 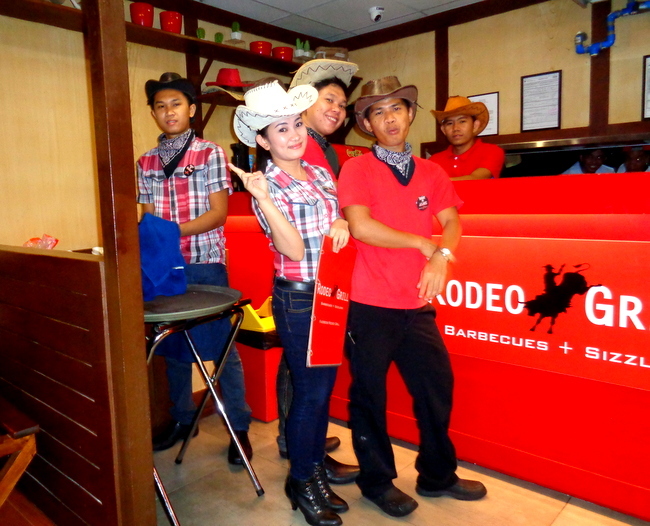 It’s not a place I would return too but the cute Filipina cowgirl in the pictures above and the friendly cowpokes, made it a worthwhile place to visit. 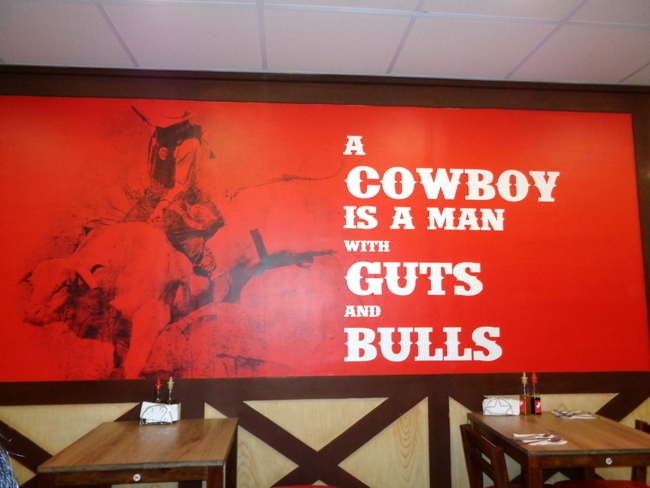 I loved the following sign displayed at the eatery. 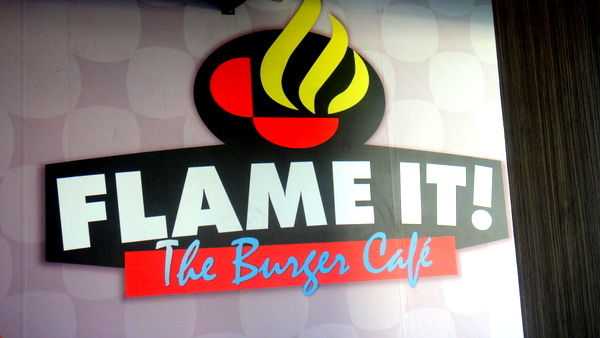 While the Rodeo Grill was a new experience, there was no way that I would let a visit to Cebu City pass without paying a visit (or two) to my favorite burger joint there, Flame It! On this trip to the Queen City of the South, however, we only devoured burgers at the SM City Cebu location and not the Ayala Mall unit, this time around. Though the Cheese burger and fries I ordered during our first stop were good, I felt the burger wasn’t as juicy and flavorful as the hamburger I had eaten the year before at Ayala. I tried an Angus Burger during our second visit to SM City and that burger did had more flavor than the regular cheese burger. Plus, the eatery doesn’t use those pastel-blue buns I found a bit off putting during our trip last year. All the patties at Flame It are handmade and the service is excellent. 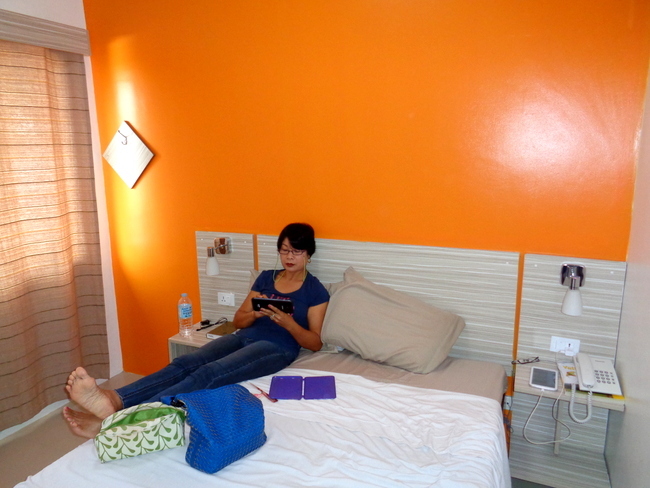 During our visit to Cebu City last year we stayed at the Alto Pension House and found the accommodations more than adequate. Though the price for a room had increased from 800 pesos a night, 18 dollars, to around 1,000, 22 USD, I called a day ahead of time to reserve our room for three nights. 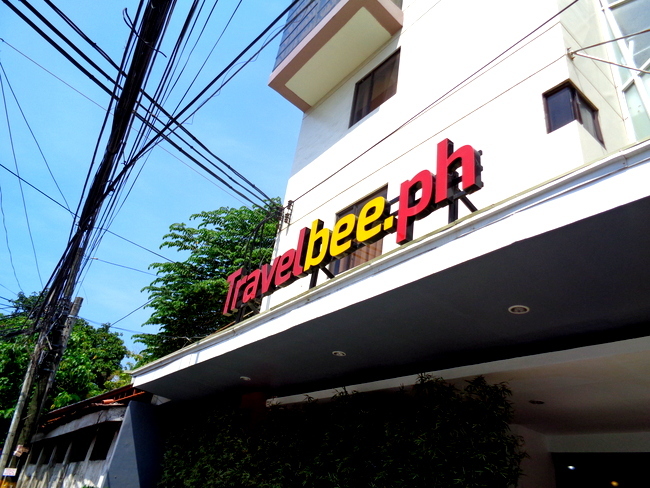 After arriving in Cebu, we took a taxi and asked the driver to take us to the Alto Pension House next to the Sacred Heart Center on D. Jakosalem Street. The driver had no idea where the pension house was located and asked the driver waiting in line behind him for directions. We took off. But after a few minutes the cabbie asked me if this was the right way. Fortunately I remembered the unique shape of the pension house and when we passed up the Sacred Heart Center, located directly next to the Alto, I told the driver we had passed it up. I spied new signage for the hotel as seen in the next photo. It was the former Alto Pension House. I approached the young lady at the front desk, the same one who had taken my reservations and asked her why she didn’t tell me the name of the pension house had changed. She informed me the hotel was sold to new owners last June. I told here we had stayed her last year but that the taxi driver had a hard time finding it. I advised her that it would have been a good idea to have told me about the new name. That’s my spouse again, in the next picture, doing what she loves to do best: shopping. We spent a couple of days at the SM City Cebu location and one day at the Ayala Mall. Do yourself a favor and avoid the lower level Comfort Rooms at SM City Cebu if possible. I had to make an emergency pit stop at one and two out of the four stalls were absolutely disgusting with seats covered with feces. I pointed this out to the attendants on duty. Of course there was no toilet paper but I had a reserve of extra tissues from the eatery we had just visited stuffed in my pockets. Fortunately, my wife has spent enough money at SM City in Iloilo to earn herself a Prestige Card which allows you to use any Prestige Lounge at SM’s all over the Philippines. The Prestige Lounge at SM City Cebu had an immaculate CR. We spent one hour at the Robinsons Mall. Save your time and don’t even bother with Robinsons though our front desk clerk did tell me that a new Robinsons is under construction. I didn’t use the CR’s there. We met some new relatives, seen in the next shot, that my wife met on Facebook. Vhmiz, with son Josh, originally comes from Guimaras and is a second cousin of my asawa’s. Nice lady. Her husband was working that day so we did not get to meet him. My spouse had never met her second cousin before this visit to Cebu City. I don’t know what Josh was doing in the next picture, maybe reacting to my presence in the shot. We had eaten at Shakey’s and honestly, the pan pizza we ordered was delicious. We had Vhmiz take the leftovers so her husband could have some of the pizza for supper. Josh played in the local video game joint while my wife and her cousin talked. I stood around for a couple of hours trying not to get bored. 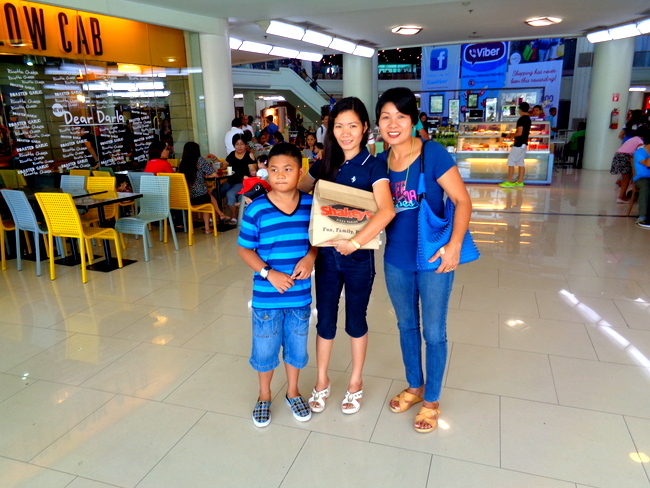 We had a pleasant visit to Cebu City and we were glad we got to meet Vhmiz and her son. I was happy that my wife got a few days of well-deserved vacation and I was elated to get away from my father-in-law, Lolo. Regular readers of Philippines Plus know that Lolo, afflicted with dementia, has a propensity to talk to dead relatives and talk and sing throughout the day, annoying his crusty old expat of a son-in-law. Yes, again, I know that my father-in-law has no control over his condition, but I would be less than honest if I told you that our upcoming move to our new house in the Philippines, where Lolo will have his own nipa hut separate from our abode, is something that I have been looking forward to for a long time. Thank God for the Cebu City break! ← How Much Will it Cost to Build Your Retirement Home in the Philippines? I too like Cebu. My wife graduated from nursing school there years ago, and has many friends that still live there. Its always nice when you know people in a city, and they can take you all over to show you the things that we would never known about or seen otherwise, I just fill up there gas tanks and they take us everywhere, of course I also have to pay for all the meals and pretty much everything else, but thats just the Filipino way it seems, when having a Kano around, knowing we are all “rich”. Have you been to Bohol before Dave, its a nice place to visit also, but I havent yet been anywhere there that I didnt enjoy seeing. We always stay at Kaylaas resort there, its owned by a guy from California, and really attracts the foreigners and they have pretty good food also, but its kinda out in the middle of nowhere, but on the ocean. I am sure you are getting excited to move and distance yourself from Lolo, his condition would defiantly be irritating to live with day after day, just hope I never end up that way, but its always possible. Well, as most, if not all of you “kano’s” out there already know, all of us are “rich,” and compared to the average Filipino, many of them just trying to eke out a meal for the day, we are quite wealthy. I consider myself very fortunate to be living a comfortable life in the Philippines with a loving wife by my side. I have asked my wife to shoot me if I ever get afflicted with dementia, God forbid, like my poor father-in-law. She refuses to honor that request. I am dead serious. I’m sure you will need a break, Derek, once the bungalow renovation is done. We went out to the job site yesterday and discovered that three out of the four “Pretty Doors” that were installed for the CR’s, were damaged when our foreman’s crew took them out to install the CR floor tiles (why even install them if you’re going to take them out later?) I called our foreman and raised hell with him and handed the phone to my asawa before I said something the guy might understand. He told me wife he would fix the problem. The cockroach sandwich and the CR at SM City Cebu were absolutely disgusting. I’ve never seen such a filthy restroom since my folks took us on a road trip through Route 66 in the 60’s. We stopped at a Texas service station’s filthy restroom that rivaled the CR at SM City. We loved the danish we got at the French Baker and my wife and I both pronounced them as the best danish pastries we have ever eaten anywhere. Thanks for the tip on the German restaurant, CJ. As I have a lot of German blood on my father’s side of the family, a good German eatery is something I definitely will check out. Glad you were able to enjoy a short vacation in Cebu. We want to go there too later this year since we have never been there before. It’s a shame with all the money the malls make they can’t provide toilet paper or keep them clean. We also love French Baker too, so whenever we make a trip to Alabang we make a point to go there. They have the best bread in Philippines i’ve had and like you said the Danish’s and other pastries are good too. We now have 2 of Anne’s 2nd Cousins living with us now as we are closer to there work. She had just seen them for the 1st time in 12 years a few weeks ago. They are good girls. They work long hours at factories making Epson Printers and Samsung Phones. They help with food and other bills. Since meeting them again she’s had 4 other 2nd Cousins ask her to lend them money which has really irritated Anne and of course turned them all down which caused some hurt feelings. Anne supported most of them through all there schooling and living expenses. We were supposed to all go on a trip to a Hot Springs Resort, which we were paying for of course, but Anne cancelled because she was so upset. She reget’s now locating them on Facebook. Cebu is certainly worth a visit, Papa Duck. When their new Seaside SM opens later this year, the fourth largest SM in the PH, we will return to the Queen City to check that mall out. So you have some new roomies? Our niece and nephew are still with us and both now attend college. The kids’ Mom is supposed to end her contract in Kuwait at the end of this year so we’ll see how that goes. She hasn’t seen her children in years. Well, we have had the same problem with relatives asking us to “loan” them money also but Melinda’s second cousin that she met on this trip did not ask us for one peso. Nice lady who is by no means rich but doing the best she can with her husband and one child. I don’t know if any other long-last relatives have asked Melinda for money on FB but I wouldn’t be surprised. cebu is a place that we look forward to visiting someday. sounds like you all enjoy your visits there. we don’t mind helping a couple nieces with school but they will work at the house and our field. no free ride…. Yep, that’s what a “loan” means in many instances, Roger. Like you, we don’t mind helping those that actually contribute something in return. We do have relatives, like our brother-in-law Joery, who has been very helpful and has headed up a side crew at our new house.